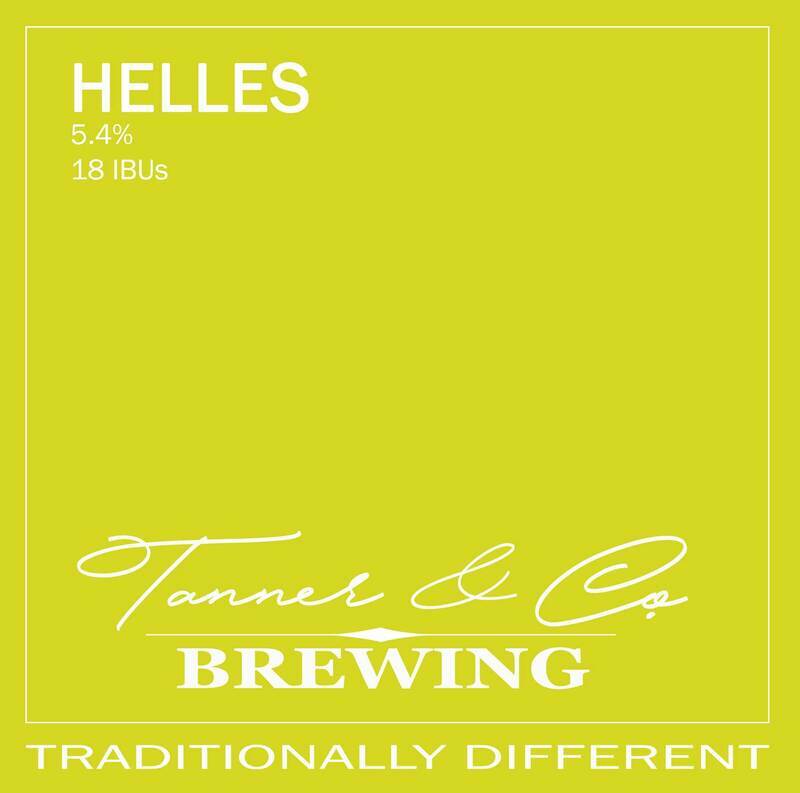 Our Munich Helles is a light gold, mildly hopped lager brewed in the classic German style. Fermented slow & cold, you’ll find a clean bread and light biscuit flavor balanced by a touch of bitterness. This refreshing medium bodied beer is the perfect easy drinking everyday beer. 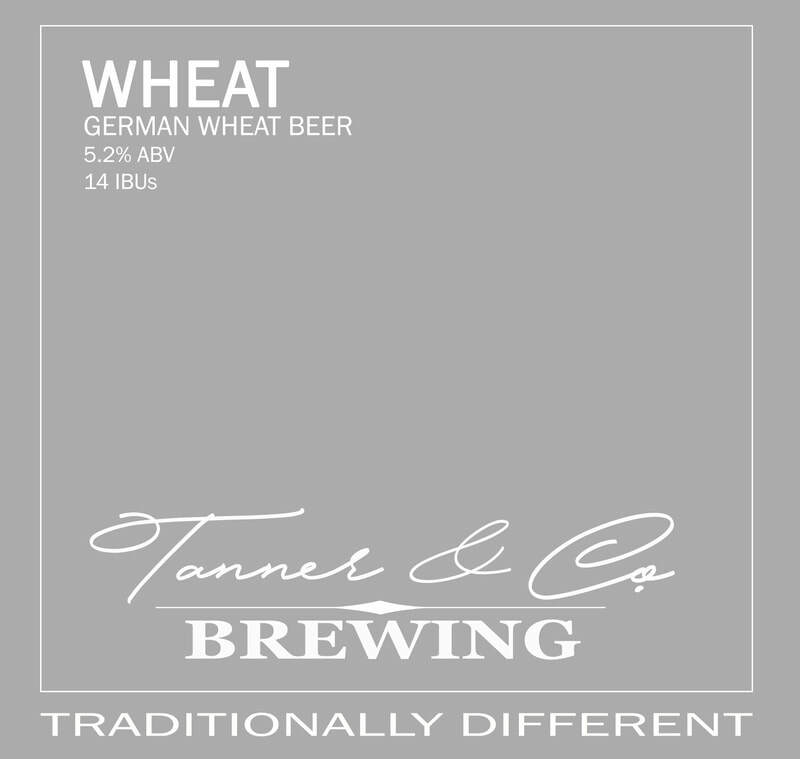 Our Germen Wheat Beer is fermented with a traditional Hefeweizen yeast. It’s full of bright banana notes, a bit of citrus, plus a bit of clove in the background. We modified the traditional recipe a bit using malts you wouldn’t normally see in this style to produce a beer with a bit more weight and malt character. This is our everyday drinking beer. We use a base grain called Maris Otter, a premium British malt that gives a richness & nutty character to add a bit of complexity to an everyday style. Brewed with American hop varieties but used sparingly for both IBU’s and flavours. Hopped at several stages with organic Nelson Sauvin hop from New Zealand, said to be similar in aromatics and flavours to a sauvignon blanc wine. Notes of gooseberry, passion fruit, pineapple and lemon with a full body and long finish. An easy drinking, higher alcohol style will catch you while you’re not looking. Lighter malt flavours mixed with aromatic spicy and fruity esters from the yeast make for a interesting yet balanced beer. 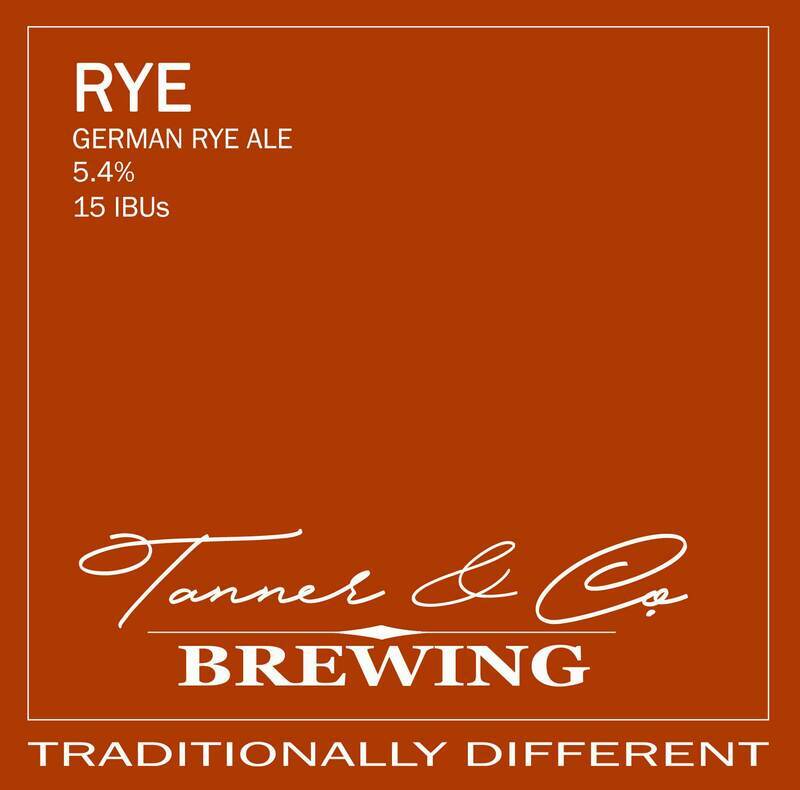 A traditional German style, this amber beer contains 50% rye malt that provides a distinct flavor and richness with a touch of sour. The clove and banana aromatics provided by the hefeweizen yeast make for a really interesting style. Roasted dark malt character with notes of coffee, chocolate and caramel. 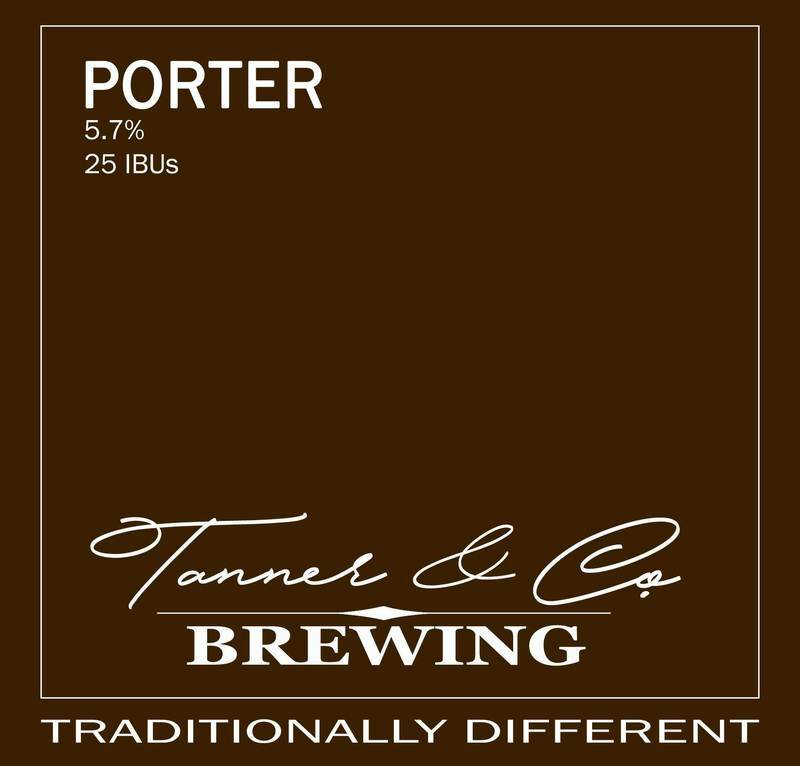 This porter offers some bitterness, but balanced by a sweeter malt profile. We modified the traditional recipe a bit and produced a beer with a bit more malt character and weight to it, while still maintaining the traditional notes of clove and banana. 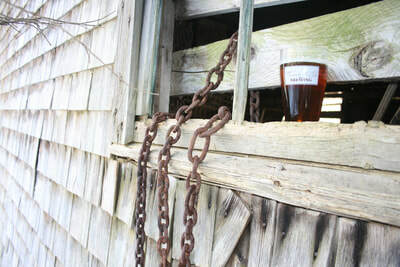 The original Steam beer (please don’t sue us Anchor). This German style is an all barley malt beer without wheat but fermented with a traditional weizenbier yeast. A light, malty and aromatic beer. Our Small Lot series is a selection of limited releases with which we have the ability to explore and discover both traditional beers as well as different recipe formulas. Small lots provide a venue for us to showcase different styles for some and show creative expression for others. Our house French Saison Beer made with local Chester Basin Lavender, fresh lemon rind & a bit of ginger. A nicely balanced & interesting beer. Full of the banana & clove characteristics you expect from a weizen yeast paired with caramel, chocolate and a bit of roasted malt from the darker grains used to produce this beer. Hopped at several stages with organic Nelson Sauvin hop from New Zealand, said to be similar in aromatics and flavours to a sauvignon blanc wine. Notes of gooseberry, pineapple and lemon with a full body and long finish. A fairly new beer style, it's fermented almost dry by an enzyme addition. We added Galaxy & Mosaic at whirlpool & dry hopped with Mosaic & Amarillo, giving aromatics of grapefruit, lime zest & orange. This heirloom style of German beer originated in Cottbus, Germany. There are lots of interesting ingredients in this beer, including Oats, Honey & Molasses. This beer was actually illegal to brew in Germany due to the purity law which allowed only malt, water, hops & yeast. Built on a grist made up of mostly Maris Otter, along with a bit Caramel malt to provide some colour, mouthfeel, and sweetness. Then hopped with Citra and Simcoe (to 50 IBUs), and dry-hopped with more Citra to give aromas of ripe peaches, tropical fruit, and citrus. Balanced by a firm bitterness in the finish. A sour wheat beer originally from northern Germany. Our version is not kettle soured, but instead uses acidulated malt to provide the signature tartness of the style. Brewed with coriander, sea salt & fermented with Hefeweizen yeast. Using our Hefeweizen recipe, we decided to build on the traditional clove aromas found in the style. We added cinnamon, nutmeg, allspice, juniper berries & ginger to enhance the aromatics while adding subtle flavours. 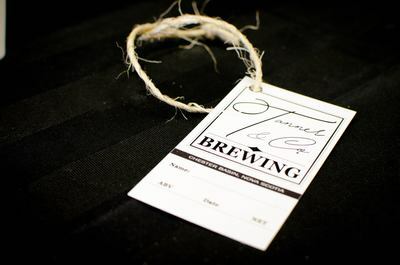 Our Reserve Series is our premium tier and beers that we are particularly proud of. These unique beers are limited production and will focus on the use of special ingredients or rare styles. Some may be perfect for additional aging time, but we'll let you know. We had just finished making our Cabernet Franc Rosé wine and brew day was soon approaching. So how do we bring these two things together? Let’s put the must (grape skins & pulp) in with the stout mash! The characteristic stout flavours of chocolate & coffee richness mixed with some lactose sugar to smooth things out, plus the slight red fruit cranberry & rhubarb notes from the grape must make for one complex beer. It’s an annual style coinciding with harvest season & has potential for some aging. Our Muscat Saison is made with orange & grapefruit peel, rose water and a blend of hops to emulate NS Muscat Wine. 6.8% with a nice dry finish similar to a wine. 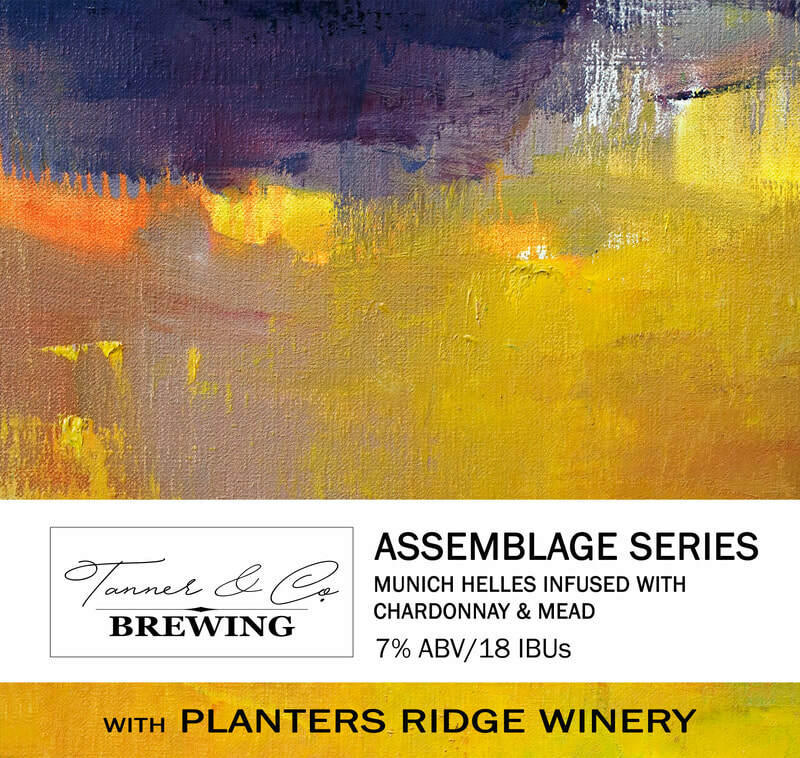 ​Our Assemblage Series is a blend of both of my passions, beer & wine. Being a Sommelier who brews has always made me curious about why these two things are always kept separate. 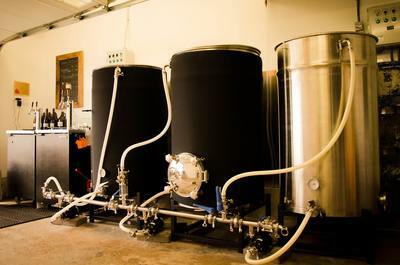 We’ve done some small batches of our beers fermented on grapes from our vineyard and it has made for some really nice beers, but the wine’s own fermentation process adds complexity to the mix that can’t be achieved by fermenting/aging on grape pomace alone. This beer is predominantly Munich Helles with the addition of Chardonnay & Mead from Planters Ridge Winery. The nose is really where the wine & mead shine. First you get apple & pear from the Chardonnay, then a bit of honey & floral notes from the mead. Then on the palate, the cereal malt character of the Helles blends with the honey & residual sweetness of the mead. The pear & apple also carry through from the nose & show up in the background of the taste profile. Final product is a 7% beer with lots of character. Total credit for final product on this one goes to the assistant winemaker Dan Surette, mead was not on my radar, but it was on his & is a nice addition to this beer.